Join us for a Channel Silver Eye with Director Sasha Waters Freyer, for a screening of her latest film, Garry Winogrand: All Things are Photographable. Freyer will introduce the film, and there will be a Q&A after the screening. Decades before digital technology transformed how we make and see pictures, Winogrand made hundreds of thousands of them with his 35mm Leica, creating an encyclopedic portrait of America from the late 1950s to the early 1980s in the process. When he died suddenly at age 56, Winogrand left behind more than 10,000 rolls of film - more than a quarter of a million pictures! These images capture a bygone era: the New York of Mad Men and the early years of the Women's Movement, the birth of American suburbs, and the glamour and alienation of Hollywood. He produced so many unseen images that it has taken until now for the full measure of his artistic legacy to emerge. Forged by Winogrand's own words and images, Garry Winogrand: All Things Are Photographable is a stunningly intimate portrait of an artist who both personified his era and transformed it. Channel Silver Eye is a microcinema series based in our Penn Avenue gallery. Several times a year we present a selection of experimental films and videos based around a different theme programed by curators and artists from around the country. Popcorn and beer is served during the screening, questions and answers with the programmer and artists are at the end. Born in Brooklyn in 1968, Sasha Waters Freyer makes non-fiction films about outsiders, misfits and everyday radicals. Trained in photography and the documentary tradition, she fuses original and found footage in 16mm film and digital media. 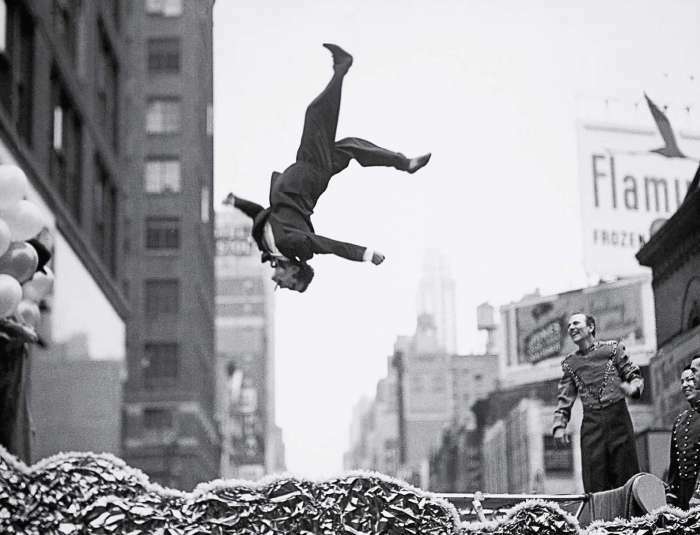 Her 2018 documentary, Garry Winogrand: All Things are Photographable, screened theatrically and at festivals around the world and was called one of the year's best by The New Yorker's Richard Brody. Other works include lyrical explorations of motherhood, and essay films on the cultural and political legacies of the late 20th century. From 2015-2017, she hosted a mobile art exhibition project at BustGallery.com. Sasha is the recipient of a 2019-20 Fellowship from the Virginia Museum of Fine Arts. Her past films have screened at the Telluride Film Festival, the Film Society of Lincoln Center, the Rotterdam, Tribeca, Big Sky, Havana, Videoex, and Ann Arbor Film Festivals; IMAGES in Toronto, the National Museum for Women in the Arts, the Museum of the Moving Image in New York, Union Docs, the Pacific Film Archive, L.A. Film Forum, and Rencontres Internationales Paris/Berlin, as well as the Sundance Channel and international cable and public television. Sasha’s films have been reviewed in The New York and Los Angeles Times, Hyperallergic, ArtForum, The New Yorker, Variety, IndieWIRE, Mother Jones, Film Threat and elsewhere; her writing has appeared in Talkhouse Millennium Film Journal, Teachers & Writers Magazine, Ethnos and the Quarterly Review of Film & Video. She has received grants and fellowships from the Jerome Foundation, the NEA (2007, 2015), the Graham Foundation, Yaddo and The MacDowell Colony. She is the Chair of the Department of Photography & Film at VCU, the number one public art school in the United States.